Android low vision games. | 22 Point Blog! The quick recommendation: There are lots of games suitable for low vision users, here are some. As much as we all buy our devices to ring people, be productive and find out important information…. Most of us want to have fun with them too – after all, everyone else does, and their power can be harnessed for entertainment just as much as utility. So today I am tackling that all important issue – games! With many apps, working out how accessible they are for low vision is a matter of seeing how large you can make the font, whether you can change the colour scheme, and if desired, whether it works with Talkback. For games, it becomes much more complex – there are generally more than two colours, there is movement and often characters, spaceships, gems or other images which need to be interacted with. Today I wanted to share some of the games I’ve found fairly easy to see – you might find some aren’t suitable at all for you, and you might have your own list of even better offerings – either way, please do share in the comments below! To find these, I’ve often come across something which may be *almost* great, (eg I found a couple of colour flood games and I loved the idea but I really couldn’t see them well, so I went to “Users also installed” and do a search for similar names, reading the descriptions and looking at screenshots (and sometimes downloading to try) until I came across some more accessible examples. I’ve picked 10 abstract or puzzle games as those type of games often lend themselves to being easy to see moreso than some other genres as they are often turn based, or have bigger, solid colour pieces to interact with. This is by no means a complete or possibly even representative sample, and unfortunately none of these games work with Talkback. 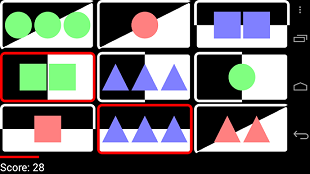 Similar to “set” – you are presented with a grid of nine images, which can 1, 2 or 3 of either triangles, squares or circles in either red, green or blue (with backgrounds in harder levels). You have to tap three which for each attribute (shape, colour, number) must be either all the same or all different (eg one green triangle, two blue triangles and three red triangles, or two blue circles, two blue squares and two blue triangles). The quicker you find the correct three items the higher your score. Touch the lit panel as quickly as you can – repeat as many times as possible before the time runs out. There are numerous similar games available. I like this because it needs no permissions and you can set the size of the grid, colour of the panels and length of the game. Kind of like a 2d Rubik’s Cube – slide the rows and columns until you end up with all blocks neatly filled in one colour (different levels range from 4×4 with four colours up to 12 x 12 with 16 colours. No time limit though your time and number of moves are saved in a high score. 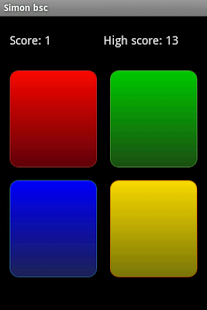 Working from the bottom left corner, choose a colour (4 to 6) and try and fill the board before your opponent (multiplayer available). Grid size starts at 5 x 8 and gets bigger (smaller squares). Turn based, no time limit. Again there are numerous variations on this game available. 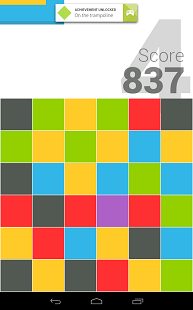 I’m recommending this one as it’s completely free and the 5×8 grid is one of the easiest to see I’ve come across. 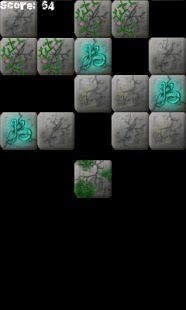 Another game with many variations available. Tap a square and it changes colour, as do the squares directly above, below, left and right. 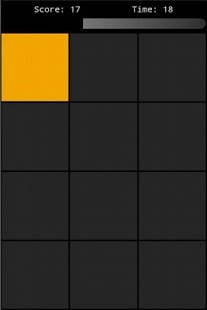 Try to change all the squares to black. No time limit, moves and time recorded for high score. $3.99 or free with ads. 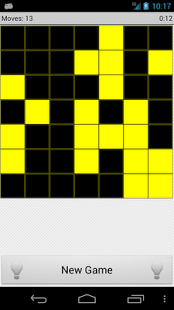 Swap adjoining blocks in a 6×6 grid to form rows or columns of the same colour of three or more. There is a colour blind option with different colours. There is a time limit (time increases each time you match a group). There are lots of ‘Match 3’ type games, this one has one of the easier to see grids. Similar to “Risk”. Move armies around the board to capture it all before your opponents do. Can zoom in and out. Turn based, no time limit. “Area” and “Vitrage” have squares with smaller numbers than other boards (try other boards first). Also called “bridges”. 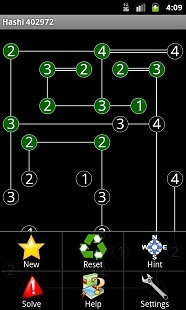 Each circle has a number, connect circles by horizontal or vertical lines to nearby bridges. Each circle must end up with the same number of lines coming from it as its number. 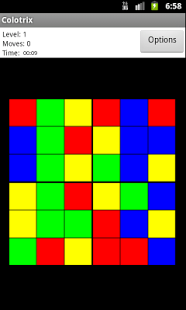 Board size ranges from 7×10 (biggest number) to 22×28. No time limit. There are many variations of this available. 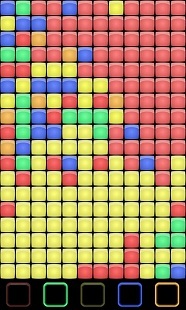 Tap the squares in the same order the computer does. This one is basic, with only four colours, but most people can’t get beyond 10 or 20. Blocks slowly fall down the screen (speed and number of columns wide can be adjusted). Tap in the column to add a block to make complete rows disappear. Often the best way of finding games is through looking at the “Users also installed” section of a game which is good but not quite accessible, or by doing a search for a similar name. Let me know how you find the ten examples above! This Post was tagged accessible, android, games, low vision. Bookmark the permalink.